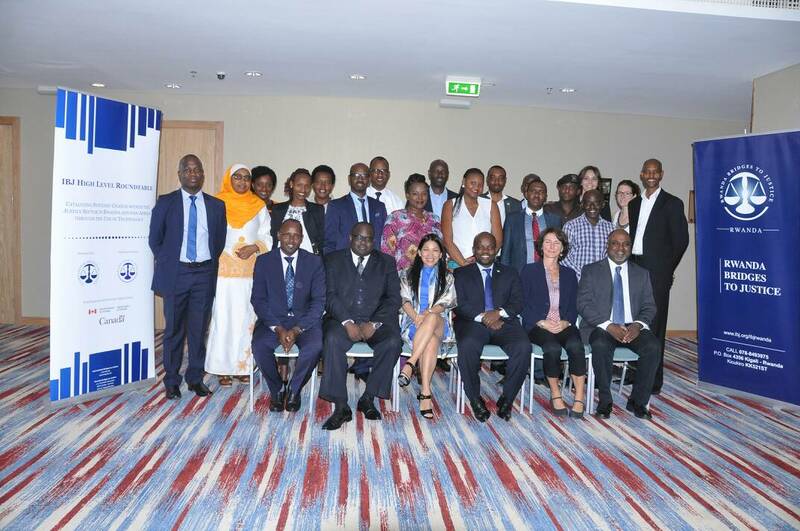 On Wednesday 25th October 2017, Rwanda Bridges to Justice and its partner International Bridges to Justice welcomed a number of key justice and technology stakeholders at Kigali Marriott hotel for a High Level Justice Round-table on the theme “Catalyzing systemic change within the justice sector in Rwanda and Pan-Africa through the use of technology”. As guests of honor, Minister of ICT Hon. 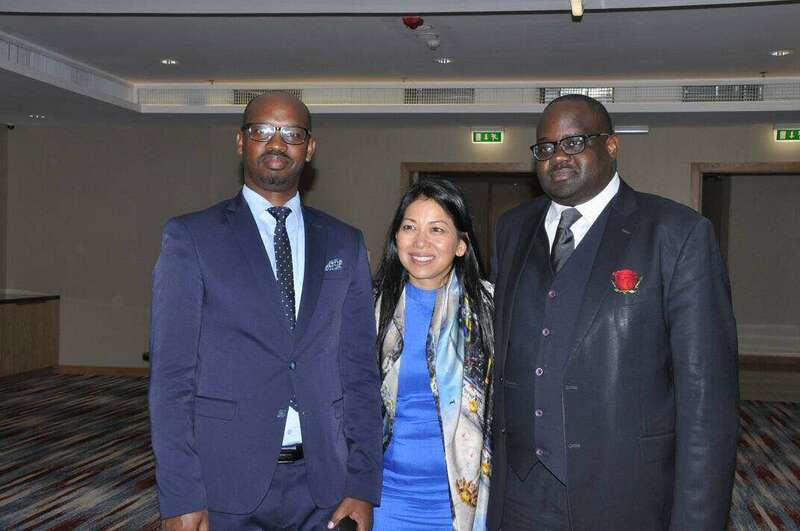 Jean Philbert Nsengimana and Minister of Justice Hon. Johnston Busingye welcomed the initiative and encouraged the innovative use of technology in the justice sector. 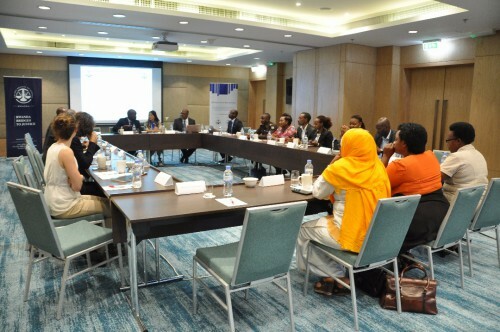 Of the 25 participants who contributed to the roundtable, attendees included the President of the Rwanda Bar Association, the Rector of the Institute for Legal Practice and Development (ILPD), two representatives from Rwanda Correctional Services (RCS), a representative from the Supreme Court, as well as international development agencies such as the United Nations Development Program, the Swiss Development Cooperation and the Embassy of the Kingdom of the Netherlands, and Civil Society Organizations such as iPeace, Dignity in Detention and RCN Justice and Democracy. The roundtable also provided a valuable opportunity to discuss the challenges associated to IECMS, to identify areas of improvement and discuss possibilities for improved efficiency and collaboration. Some of the lawyers mentioned persistent difficulties in accessing the integrality of their clients’ case files, especially in criminal cases. Other challenges include population’s awareness of the system and knowledge gap on the use of ICT, internet connectivity and language barriers, as the system is only available in English. Drawing from the Netherlands’ Embassy’s experience and current strategies, representative Iris De Groot, mentioned the idea of using pre-recorded phone messages and educational videos to keep educating and training the population. To summarize, IBJ’s International Program Director, Sanjeewa Liyanage, stated “We all agree in the power of technology. It is not a choice anymore; it is a norm. A norm to organize things, to accelerate things, to make things better […] It is also the will and finding a way to overcome challenges that brings change”.